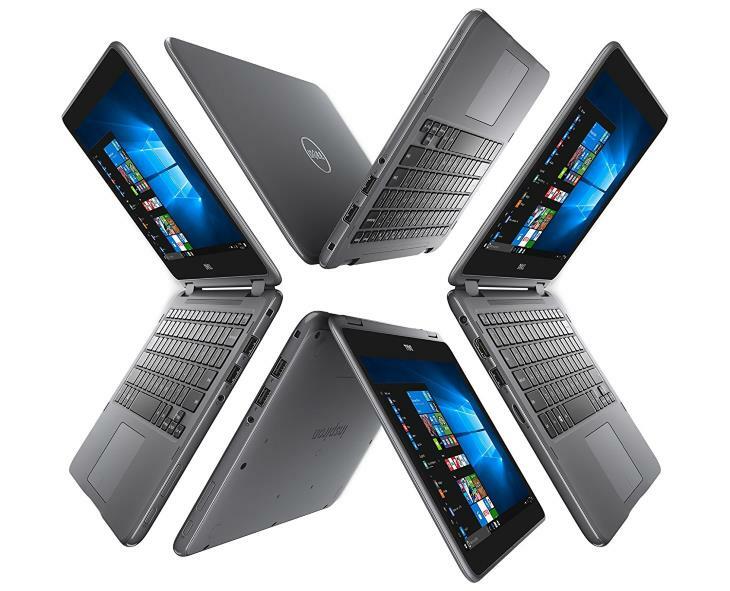 The Dell Inspiron 11 3000 3185 / i3185 is an entry-level 2-in-1 laptop PC with a small 11.6-inch fully-rotatable touch-screen. Starting at around $300, this 3.3-pound plastic-clad convertible offers basic 1366-by-768 display resolution and modest performance for the daily home & office tasks. As a downside, the laptop uses TN screen technology, meaning narrower viewing angles than on IPS-powered panels. Windows 10 and programs run on either the AMD A6-9220e or probably faster A6-9420e processor (unknown specs). The machine ships with either 4GB or 8GB of system memory and is available with three internal storage options: a 32GB eMMC drive, a 128GB eMMC drive, or a 500GB mechanical hard drive. 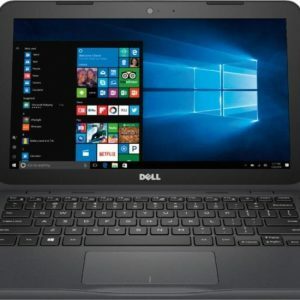 The Inspiron 11 3000 3185 / i3185 has stereo speakers, a 720p web-chat camera, 802.11N Wi-Fi wireless, Bluetooth, a USB 3.1 and a USB 2.0 port, HDMI video output port, a combo microphone / headphones audio jack, and a microSD card slot. There’s no info on battery life. The notebook’s battery capacity of 32 WHr isn’t too generous. 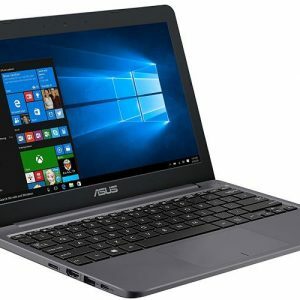 Judging by the specs, the battery should provide around 5 hours of run time with normal computer use. The 2-in-1 is available in 3 colors: grey, red, and white. Here's the specs sheet of the Dell Inspiron 11 3000 3185 / i3185. For comparison against other laptops, use the "Compare Specs" button. I got mine with a 27 gb hard drive and I ordered a 128 gb hard drive. so i got my old hard drive and upgraded to a 500 gb instead. Are you saying that it still had space for to add in an internal Hard drive or a Solid Drive inside the computer despite it has an eMMC? Which I am planning to get an internal solid drive for the new laptop I just had. Is that 128GB eMMC or SSD? It’s 128GB eMMC as per official specs by Dell.